Ruth Reichl’s first experience with Gourmet magazine was in a dusty bookstore when she was 8 years old. She found an old issue that captivated her and inspired her to try cooking at home. Those early experiences with food later inspired a career. Reichl became the food editor and restaurant critic for the Los Angeles Times, and later the restaurant critic for the New York Times. But when Condé Nast offered her the editor-in-chief position at Gourmet, Reichl turned it down. She eventually changed her mind, and embarked on what became a decade-long career at the helm of the nation’s oldest food magazine. Host Frank Stasio talks to Reichl about her time at Gourmet, which is the subject of her new memoir “Save Me the Plums” (Random House/2019). Reichl will be at McIntyre’s Books in Pittsboro on Wednesday, April 3 for a ticketed luncheon. She will also be at Quail Ridge Books in Raleigh that evening at 7 p.m. The most extraordinary moment [was] in 2006. I was asked to go speak to the Conference of Newspaper Editorial Writers, and I gave this really passionate speech about how they should please pay attention to food. And I talked about all the issues we were facing with the food system: overuse of antibiotics, pesticide runoff, farmer suicide, on and on, and on. And they didn't know any of it. They were stunned by what I was telling them. Well, five years later, they were covering all those things. And everybody in America knew about those topics. 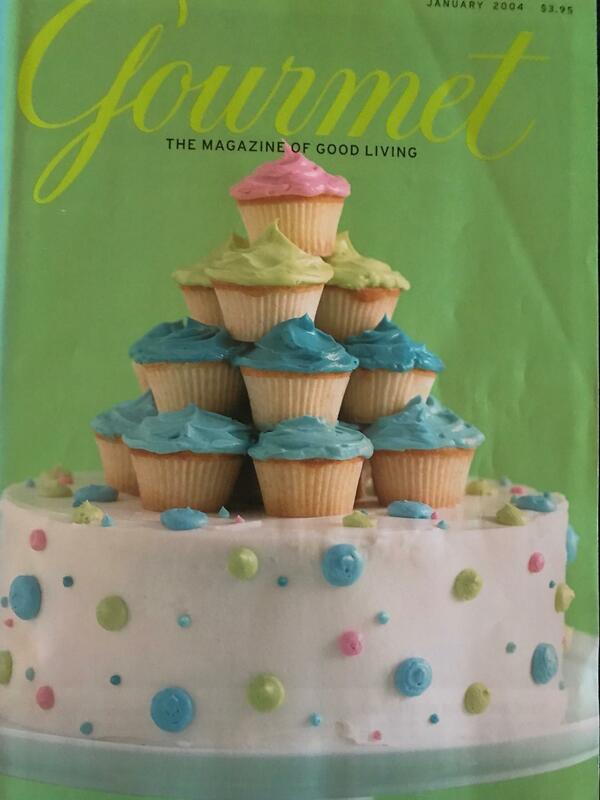 The Gourmet issue featuring cupcakes on the cover. It finally hit me that we had unwittingly sent a message to the readers. That what we were saying to the readers of what had once been a very elite group of people — the gourmands, the gourmets of the world who thought that the world of fine food belong to them — and for them, cupcakes were children's food or plebeian food … And what we were saying is: You do not own this anymore. That food has become much bigger than your little, gourmet world. And they got the message. Even though none of us at Gourmet had really realized that was the message we were sending. But they weren't wrong, because we were saying that. We were saying that food trends — which at one point had come from the tables of the king, from royalty, from the elite down to the masses — were now working the other way. I realized that you didn't have to have magic to have extraordinary experiences. It was the first time that nonfiction had opened a door into another realm for me. And I became fascinated by food, because it really hit me that I could pay attention to food — to what I was eating, to what I was hearing when I was eating — and that ordinary life would open up in a new way for me. And it literally changed my life. And I started reading Gourmet and actually paying attention to the sensory experiences of eating. When Gourmet magazine, shut down six years ago this month, editor-in-chief Ruth Reichl was devastated. The former Los Angeles Times food editor and New York Times restaurant critic did not know what to do next. Lost and uncertain about her future, Reichl returned to the one simple passion that always brought her joy: cooking.